Not some liturgical crime-fighting team, as one might suppose from the title; rather, these are the terms applied to the people who carry the respective objects after which they are named: the thurible and boat. 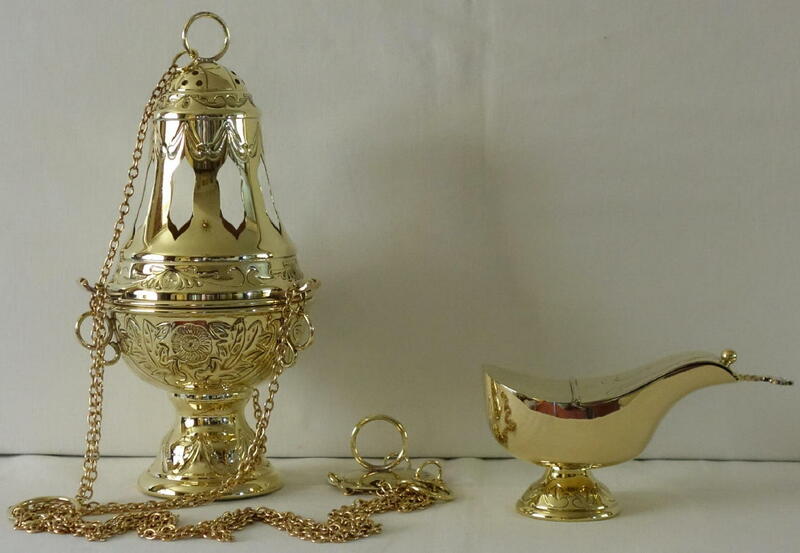 The term “thurible” comes from the Latin “thus,” (rhymes with moose) meaning “incense;” and refers to the metal censer, suspended from chains, which is swung to and fro at various points in the liturgy, leaving aromatic clouds of smoke in its midst. Moreover, Yahweh was not the only deity to be offered incense. Many ancient dynasties – from India to China and beyond – have included incense in their worship practices. The use of incense in pagan ritual was likewise pervasive. In fact, in the nascent Christian church, incense was eschewed precisely because it was used in Emperor worship, which the Caesars, of course, encouraged. Hence, it was not until Christianity became the official religion of the Roman Empire that the use of incense crept back into popular worship. Alas, it’s frequent usage was not to last, though. The winds of change that blew through the Reformation took incense with them, and thuribles all but disappeared with other so called “Popish Artefacts.” However, in the last fifty years or so, the thurible, and the use of incense in general, has experienced something of a revival, due in no small part to the liturgical renewal that came out of the Second Vatican Council in the 1960’s. It is true that, despite its growing popularity in the last several decades, incense remains something of a rarity. While some “smells and bells” parishes have incense at every (sacramental) meal, most churches have incense on the menu, at most, infrequently. Those parishes that seek an “incense-compromise” swing their thuribles only on Principal Feasts and/or Holy days – Christmas, Epiphany, and the Easter Vigil being prime examples of such times. 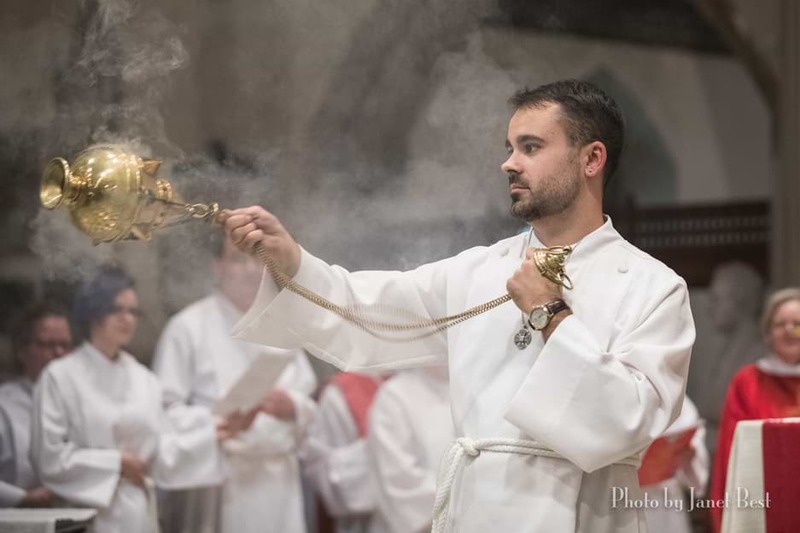 In any event, the use of incense is intended to draw attention to the sacredness of those things and people, who reveal the mystery of God’s love to us: the Gospel, the Altar – and ourselves, the people of God, not the least! Oh, I missed the boat – so to speak – and have not taken the time to explain the thurible’s faithful companion. The boat’s function is mostly practical. For, obviously, the celebrant cannot carry incense in his/her pocket like so many nickels and dimes. Therefore, a receptacle that is appropriately reverent and comely is required for that task; hence, the boat. Why is the incense holder called a “boat?” Because it looks like one. This is true, especially, of more modern examples. Although, personally, all the incense boats I have seen look more like facsimiles of Aladdin’s lamp, than like boats. So for those who mistakenly clutch this object, rubbing vigorously in hopes of being granted a wish or three, then I’m afraid you are going to end up empty handed; or with only a few grains of incense to show for your efforts. Little has been said in this article about the people who bear these objects: Thurifer and Boat Girl (boy). But perhaps that is as it should be. For, whatever your wishes on the use of incense in worship, you have probably rarely seen these cassocked crusaders. Until or unless the use of incense becomes more pervasive, Thurifer and Boat Girl are likely to remain in the clouds. Here’s a graphic of a boat that looks particularly like Aladdin’s lamp!